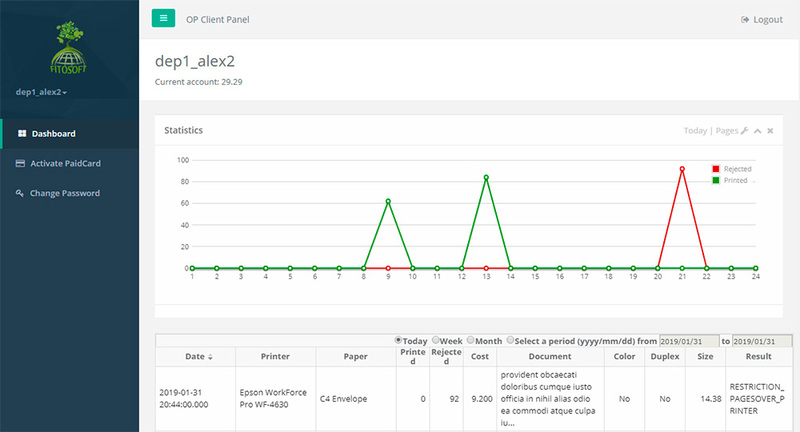 With OP Client, a user can connect to different OP servers that provide information on current user/computer print activities. OP Server uses port 1562 (TCP). This port must be accessible from the Internet on the machine running the OP Client. To edit the OP Client settings, click on the Settings icon in the Navigator and select the OP General Settings Tab. To increase the balance of an OP Client Account, click the ‘Activate PaidCard’ button. If a user has a valid prepaid card, type a code in the space provided, select the appropriate account and the OP Server and click on the “OK” button to update the subtotal. If you wish to enable the OP Client for this server, check ‘Enable OP Client’ on General Settings. 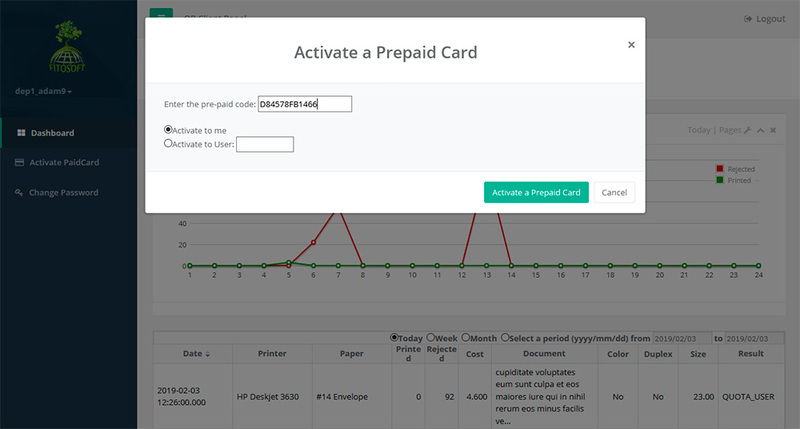 Click ‘Enable Prepaid cards’ to enable prepaid cards.